At Seattle Urban Farm Company (SUFCo), we thrive on pioneering new ideas and empowering city dwellers to reap the rewards of local food production. We believe that sustainable urban agriculture can promote healthy diets, environmental stewardship, stronger communities and improved quality of life. We hope that developing economically sound, city-based farming ventures will increase public awareness of agricultural issues and foster a greater appreciation of farmers everywhere. Seattle Urban Farm Company blends ecological landscape design with sustainable farming principles to create unique, productive outdoor spaces. In 2007, founders Colin McCrate and Brad Halm wanted to apply their years of horticultural and agricultural expertise to help aspiring growers get projects off the ground; or more accurately, in the ground; so they bought a truck, grabbed some shovels and got to work. In 2010, Hilary Dahl joined the SUFCo team, helping to develop our service offerings to provide integrated design, installation and maintenance programs. Over the past nine years, we have helped guide hundreds of urban farmers through the design, construction and management of their own edible landscape. We work with our clients through the entire design/build process because we believe that cohesion and attention to detail are what make each project special and successful. We pride ourselves on creating environmentally responsible and long-lasting garden elements. Sourcing quality materials and locally adapted plants ensures the long-term health and beauty of our landscapes. SUFCo now has 15 urban farmers, each with unique skills and experience. Our talented staff and comprehensive approach allow us to create sustainable, edible landscapes customized to site-specific conditions and client priorities. We are committed to the immediate and ongoing success of all of our projects, focusing on intensive plantings and organic soil management to ensure high yields of crops season after season. Each season we build new edible landscapes, manage dozens of backyard and rooftop urban farms and teach numerous classes and workshops across the region. With each new year, we find new opportunities and as public awareness of urban agriculture continues to grow, we hope to grow along with it and with you! The Seattle Urban Farm Company is licensed, bonded, and insured in Washington State. An initial design process is essential to the success of every productive garden. A comprehensive site plan allows you to combine individual elements of your urban farm to create a cohesive, functional, and beautiful space. A garden design includes scaled drawings of the space, planting recommendations, material specifications and precise dimensions for garden elements such as: garden beds, pathways, trellises, irrigation, tool sheds, washing stations, greenhouses, and seating areas. Additional drawings including planting plans, grading plans, and renderings can also be produced, as applicable to each project. Design budgets vary depending on the scale and complexity of the project. SUFCo co-founders Colin McCrate and Brad Halm are available for educational seminars, book signings and speaking engagements. 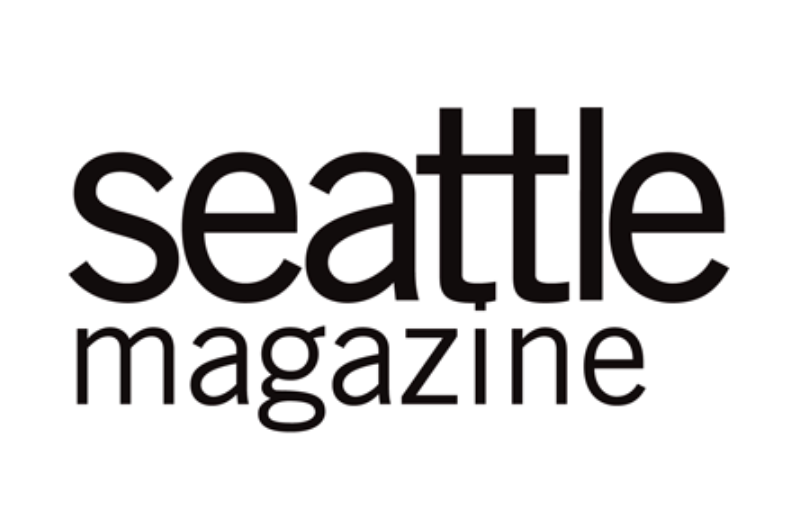 They have been featured in The Seattle Times, Seattle Magazine, Bon Appetit, GQ, Sunset Magazine, Grist, and numerous other publications and online news sites. 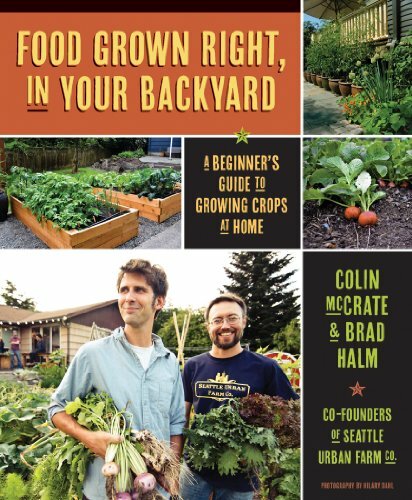 Their book, Food Grown Right, In Your Backyard, has received national press coverage and helped thousands of beginning backyard farmers with instructional photographs and step-by-step information on setting up and caring for a home garden. SUFCo received a Gold Medal, Silver Medal and Pacific Magazine Horticulture Award for the display gardens they constructed at the Northwest Flower and Garden Show in 2008 and 2010. Brad and Colin have led educational seminars for the Northwest Flower & Garden Show, King County Master Gardeners Foundation, National Restaurant Association and at myriad garden related events. They also lead weekly summertime tours of the rooftop garden at Bastille Cafe & Bar. As the founders of the Seattle Urban Farm Company, Colin McCrate and Brad Halm have heard it all: My backyard is too small; how can I make space for a garden? Do I really need to buy fertilizer? What on earth is that creature crawling on the tomatoes? My crops took off and the zucchini are in the sidewalk who has time to harvest this all?! FOOD GROWN RIGHT, IN YOUR BACKYARD is a primer for these questions and more. You won't believe your eyes when you see the size of your harvest! 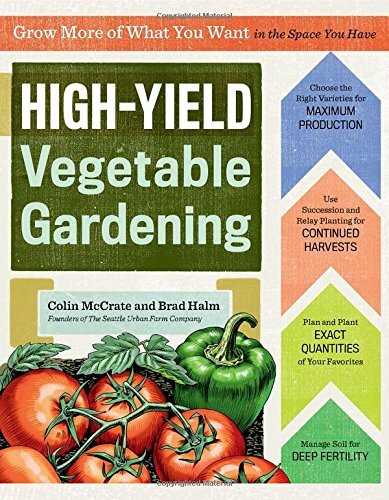 In High-Yield Vegetable Gardening, authors Colin McCrate and Brad Halm show you how you can make your food garden much more productive, no matter how big or small it is. Packed with the charts, tables, schedules, and worksheets you need -- as well as record-keeping pages so you can repeat your successes next year -- this book is an essential tool for the serious gardener.